In human society there are many stereotypes. Some of them are absolutely absurd. For example, the thin lips – a sign of bad character, and full – a sign of the tendency to wrinkle. Of course, everything about a person's appearance, is under the jurisdiction of genetics and heredity. However, physiognomy is not appeased, continuing to assert that the parts of your face can determine a person's character. For example, the lips. 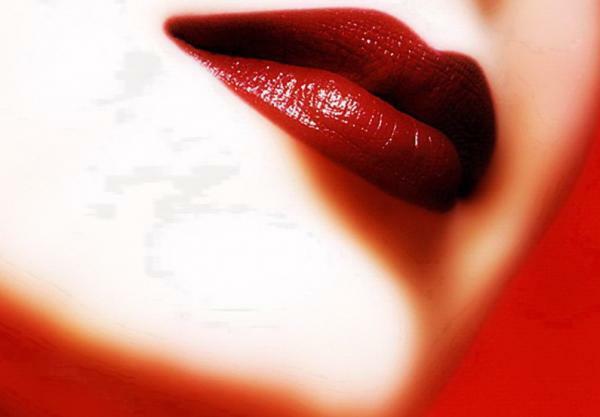 Lips – "heart".They say that only the most feminine and sensual ladies have a form of lips. Women with sponges, folded heart, Flirty, charming, but though careless and sometimes even treacherous. Men with such a feminine form of the lips, usually, frivolous and vain. The owners of lips heart love to be the center of attention, to Shine. Very often they are gentle, do not wear in the bosom of the stones, and ready to help those who need it. Juicy big lips.Such delicious lips typical people are good-natured and sensitive. Although they are impressionable natures, but perfectly in control. The winners of big juicy lips, as if pushed forward, incorrigible optimists soul of any company. Small mouth with small lips.Small mouth and gently rounded and gentle and graceful lips of the small size given the presence of a possessor of remarkable intelligence. The owners of the short lips and a small mouth are different, according to physiognomists, a weak character. They are usually indecisive, unsure of their abilities, constantly looking for the approval of their own actions in others. Big lips and big mouth.Big mouth and red shiny lips peculiar natures public. They are successful, often quite bossy, prone to hedonism and greedy at the same time. Their goals are unclear, vague; their plans rarely come to completion; their life goes on in search of pleasure. Thin and narrow lips.Hard thin lips – the evidence of emotional coldness, and even the callousness of their owner. People with thin lips – persistent in achieving their goals, calculating, meticulous nature, having a logical mind. However, they can clearly and eloquently argue their point of view, doing it very convincingly.Very often thin like mouth with pursed lips – the testimony of a person acting talents. To verify this, just look at photos of Clint Eastwood, Nicole Kidman, demi Moore, and many "stars" Shine on the screen before the invention of the methods of lip augmentation. Disproportionate lips bigger and plump upper or lower lip).Forward, more plump the upper or lower lip – a sign of a vain and frivolous people, however, because of their own indecision, to compromise. But being backed into a corner by circumstances, or when everything is at stake, the holders of disproportionate lip is able to despise all their fears and risking his own life, bravely rush into danger. Or opportunities. Lips form and character. If skillfully and properly "read my lips", the shape of the mouth and lips can reveal to You all the hidden traits of their owner. Painting your lips in a certain way, we subconsciously try to present myself to others with the desired things. Let's see exactly what they say fisiognomica about the owners of thin lips. Thin lips: character. And so you don't have to constantly shy thin lips and catching suspicious looks when we first met, we invite you to arm a small cunnings which will help to hide the lack of (enough, in my opinion, controversial).